Last week, the Texas State Legislature passed Senate Bill (SB) 1148 on the last day the legislative session, and now awaits the governor’s signature to become law. The law would become effective January 2018. As we updated in you in April, ACG joined the Texas Society for Gastrointestinal Endoscopy (TSGE) in urging members to get this bill passed into law. Thank you Texas members for your advocacy! The bill, as passed, prohibits insurers from requiring MOC for credentialing or reimbursement, and prevents the Texas Medical Board from requiring MOC for licensure. Unfortunately, the Texas House made a last minute amendment to the original bill, which may in effect, still allow hospitals and facilities to require MOC for privileges. Instead of including specific language which would prohibit hospitals from requiring MOC, the finalized language allows facilities to set a MOC policy, pending input and a vote by the hospital staff. This amendment highlights why ACG members and the physician community must remain vigilant on this issue in all states. Fortunately, the structure of the ACG Board of Governors allows the College to do this. The ACG Board of Governors is one of the most unique aspects of the American College of Gastroenterology. Governors are ACG Fellows that are elected from the membership of a particular state or region. There are currently 76 Governors across seven different regions in the U.S. and abroad. The Board of Governors acts as a two-way conduit between the College’s leadership and the membership at-large. This helps the College make certain it is meeting the evolving needs of the membership. ACG has compiled an updated list of bills in statehouses across the U.S. This list also provides ACG members a mechanism to express support with the state legislators sponsoring these bills. Embedded in the document are direct email links to send a message to elected representatives in your state, as well as the relevant language used in each state’s bill. Please review and express your support! 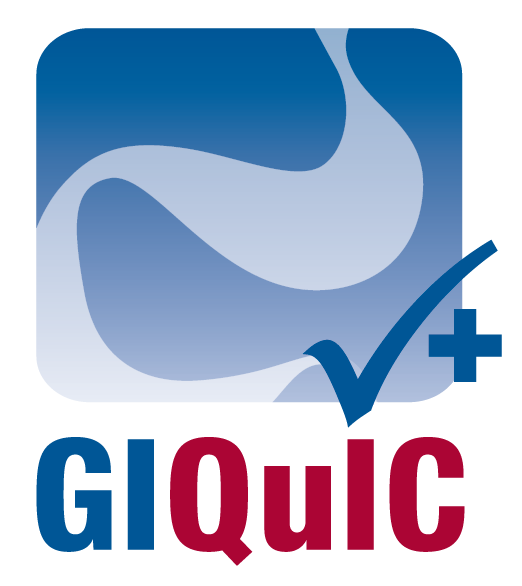 The GI Quality Improvement Consortium, Ltd. (GIQuIC) Registry has been approved as a Qualified Clinical Data Registry (QCDR) for reporting to the Merit-based Incentive Payment System (MIPS) for the 2017 reporting year. “GIQuIC is pleased to announce the Qualified Clinical Data Registry (QCDR) approval for the 2017 reporting year. Since 2014, CMS has offered the QCDR reporting mechanism for what was the Physician Quality Reporting System (PQRS). Now, with MIPS in 2017, GIQuIC, as an approved QCDR, will allow providers to report on measures that are meaningful to their specialty practice and will foster improvement in the quality of care provided to patients, while being in compliance with reporting requirements,” said Glenn M. Eisen, MD, MPH, President of the GIQuIC Board of Directors. Since 2010, GIQuIC has grown in value as a clinical benchmarking tool for gastroenterology practices, with over 4 million colonoscopy cases in January 2017 and growing. The Centers for Medicare and Medicaid Services (CMS) approved GIQuIC as a QCDR for the 2014, 2015 and 2016 PQRS reporting years, facilitating endoscopists’ documentation of compliance with quality measures. The QCDR reporting mechanism is a dynamic reporting option that allows providers to report on MIPS and non-MIPS measures that are meaningful to their specialty practice and foster improvement in the quality of care provided to patients. More than 600 GIQuIC participants elected to utilize the GIQuIC QCDR for their 2014 PQRS reporting; more than 1,100 participants did so for their 2015 PQRS reporting; and more than 1,300 did so for 2016 PQRS reporting. On Thursday, the California State Senate passed the Healthy California Act (S.B. 562), a bill that creates a single-payer-style system. It now moves on to the California State Assembly where the bill’s cost estimates will continue to be the major point of debate. The bill is designed to cover all residents of California (regardless of immigration status) with no insurance premiums, out-of-pocket costs for drugs or deductibles. Two recent studies and cost estimates were just released: legislative staff estimate annual costs at $400 billion. This report suggested that half of the bill’s costs could be covered by existing funds used to pay for Medicare and Medicaid, with the remaining $200 billion to be covered by a 15% payroll tax. Another study released Wednesday by the California Nurses Association estimate the annual cost of running a universal health system at $331 billion. It proposed paying for the $106 billion balance with a 2.3% consumer sales tax increase and another 2.3% business tax on gross sales revenue, with exceptions for small businesses. Many California organizations have expressed both support and opposition. It is unclear whether the Assembly will pass the bill. There are other federal obstacles as well. ACG is monitoring this bill and will provide an update to ACG members with any recent developments. In February, ACG provided some guidance on how your MIPS Quality score is actually calculated. ACG also hosts on our website an ACG Members Checklist: Improving Your Quality Reporting under MIPS. Since the Quality category represents 60% of your total MIPS score and payment in 2019, it is important to know what you need to do in order to get the most of your score for this category. TIP: Know the measure’s specifications! It is important to stress that ACG members should study the denominator for each measure and understand what exactly needs to be performed in order to meet the measure’s requirements. One option to reduce these administrative burdens is to use a qualified clinical data registry (QCDR). The benefit of a QCDR like GIQuIC is that the registry helps to simplify the process and submits the data on your behalf. Learn more here.